Castle Crags is an amazing area near Mount Shasta, one which should have great appeal to rock climbers. Why it isn’t more well known, I have no idea. Gorgeous stuff. 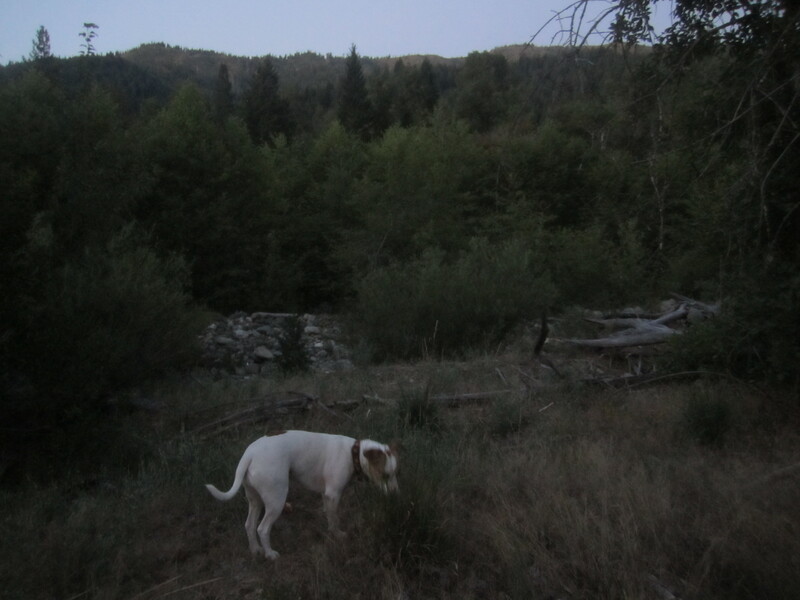 The photos didn’t come out well due to the low light and lens damage due to a drop by a certain klutzy hiker. Jackie Chan stretching his legs and sniffing away…. 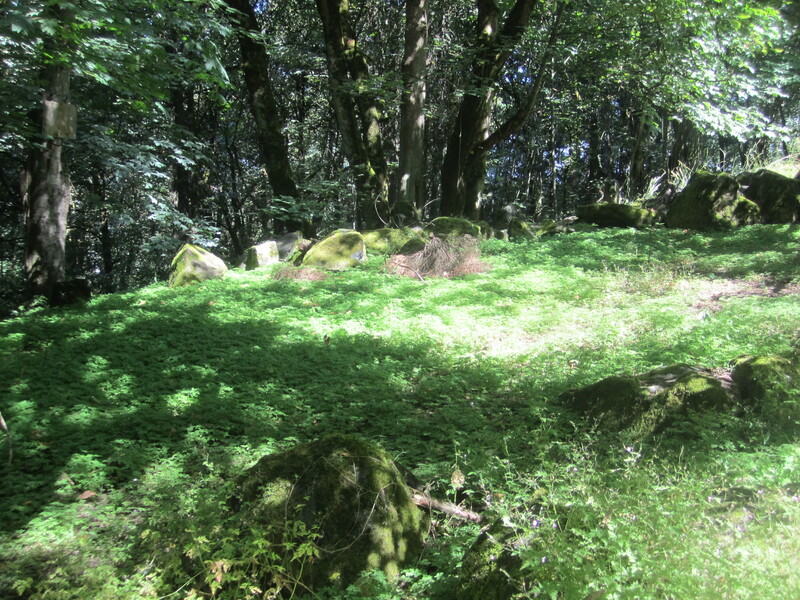 We wandered for a while between 5:30 and 6 a.m. as I blasted from Portland down to the bay area to meet my wife. I had driven most of the night, and I needed to stretch my legs. Good choice. 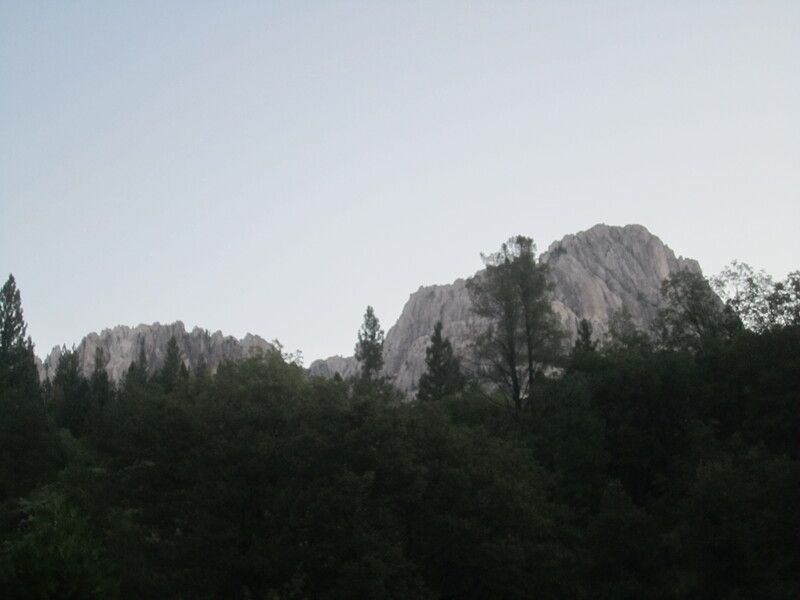 If you are interested in the area, take the exit for Castle Crags State Park a few miles south of Dunsmuir. 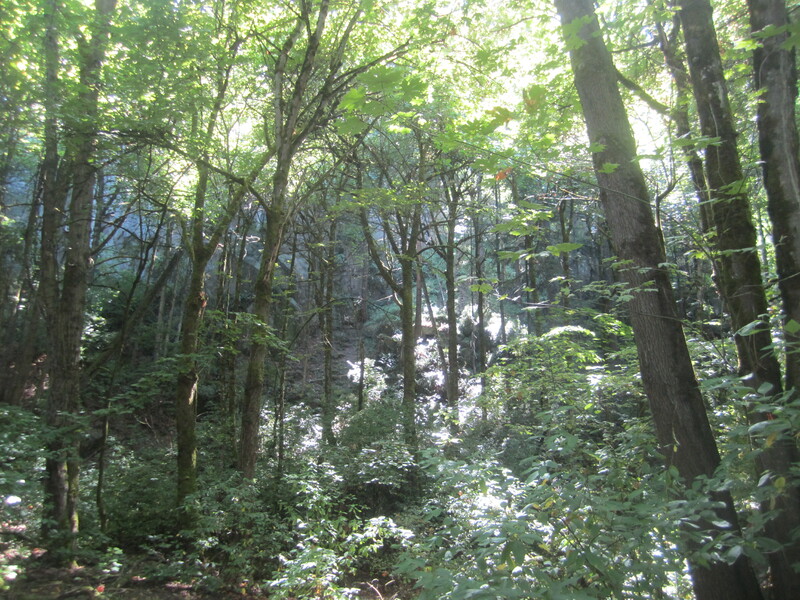 Just south of the gates of The Grotto, a famed spiritual sanctuary nestled into the cliffs of Portland’s Rocky Butte is a trail which offers good access to rock climbing areas as well as to the open upper reaches of the butte popular with view mongers and cruise masters. 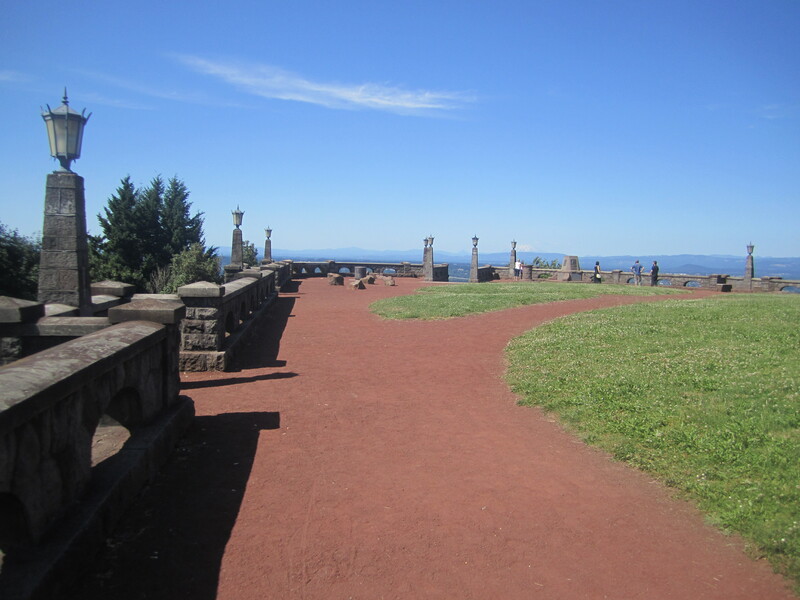 As a scrawny teenager and twenty-something rock climber, I spent many days on both the natural cliffs and the manmade rockwork on top of the butte. Revisiting the area gave me has a curious feeling, especially when combined with remnants of indiscreet partying and graffiti, nouveau riche view homes installed in the last couple decades, and tourist hordes seeking the best views on Portland’s east side. The park loop on top is a classic place to cruise. Until recently, I’d never considered hiking all up the butte, until I discovered a trail which proceeds all the way up to the higher road. 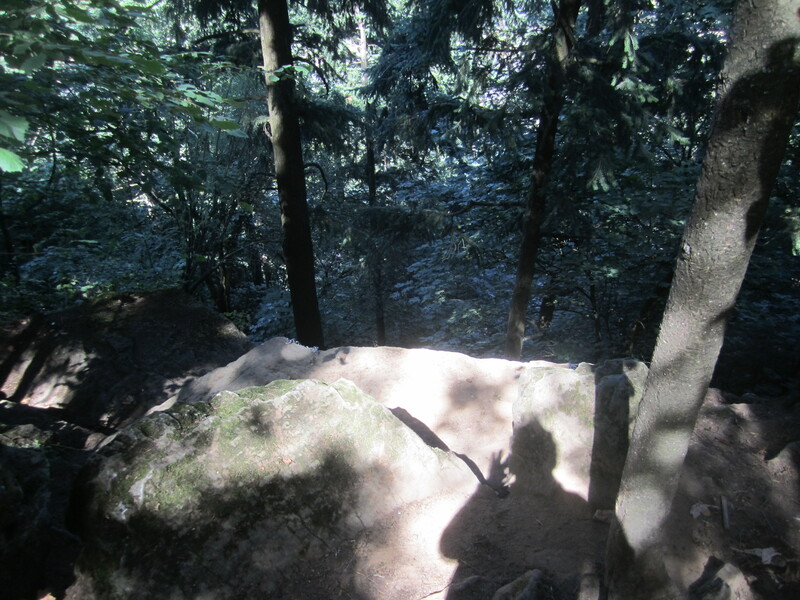 Once I’d hiked past the base of all the climbing walls (there is a lot more rock than I remembered), the trail switchbacked sharply and climbed to the road above the cliffs, near Multnomah Bible College. 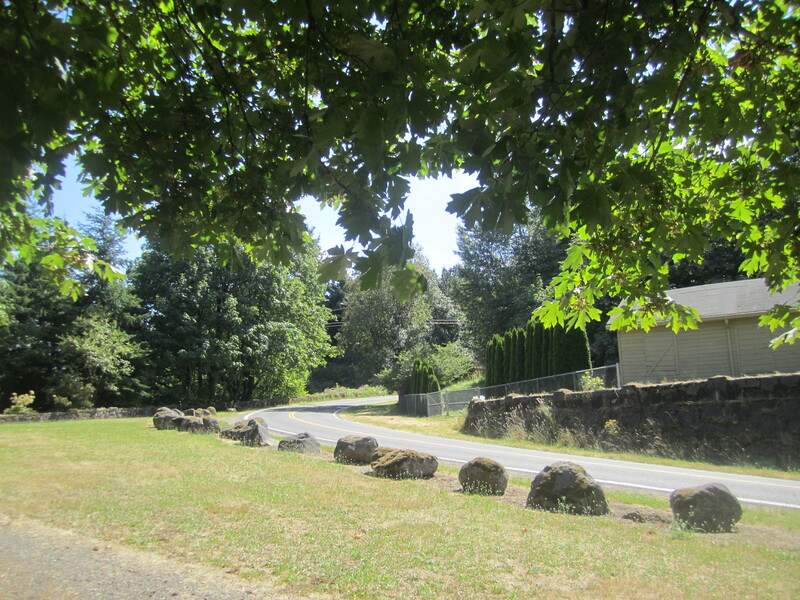 There is a cute little rockwork underpass, which is rendered moot by the ability to reach the road fifty feet beyond. From there the journey to the top is all road walking, but there is very little traffic, so I didn’t mind. I also got a very nice blackberry at one stopping point. 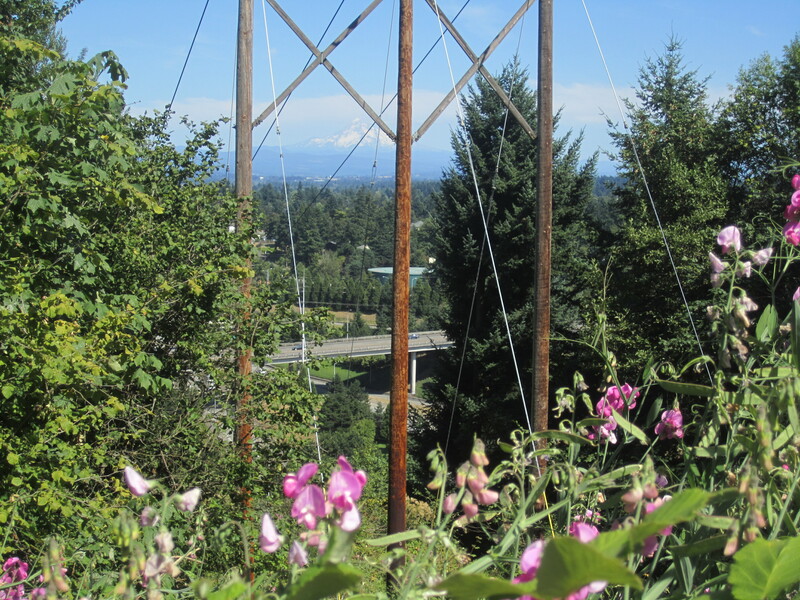 There are truly great views on top of Rocky Butte, ranging from Portland’s West Hills to the mighty Columbia River, Mounts St Helens and Hood, and more. 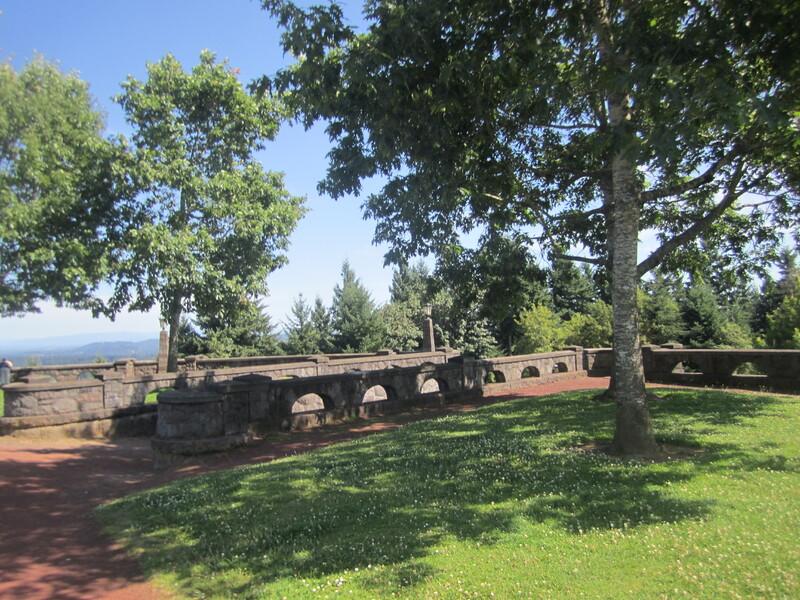 Lovers were picnicking and smooching along the edge of the wall in Joseph Wood Hill Park up there, while one group of young men hooted and hollered as they climbed the stairs to the fortress-like viewpoint that is the centerpiece of the park. This walk is not going to be on any anybody’s bucket list, but it was still pleasant to take a literal walk along memory lane, trying to recall which walls I’d climbed (Blackberry Jam, Bird of Paradise, The Toothpick). With hundreds of feet of elevation gain over a mile and half or so, burning calories is mandatory. Need more? Scramble around on the low angle walls at the park on top, or wander around the tangential paths below the cliffs to get a closer look at climbing routes. 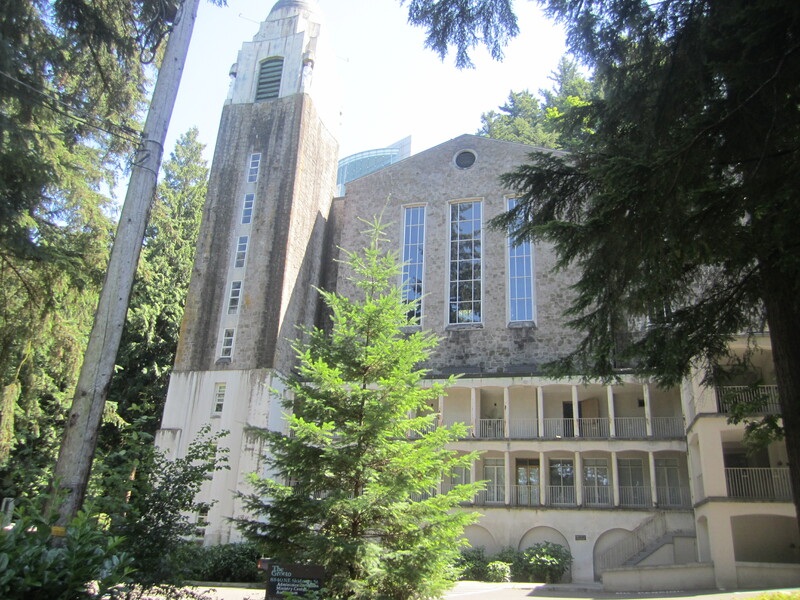 There are worse ways to spend an hour on a sunny afternoon, and if you are still needing more, pay to go into The Grotto, ride their cool elevator, and enjoy their serene grounds.